Management likes to talk about the hard skills and the soft skills of managers. These terms are usually applied backwards. Hard skills are the decision-making, analytical, performance oriented skills of traditional management. Hard skills are a matter of education, experience and practice. The hard skills are mostly transactional, process-driven and mechanistic. Done right there is little variation in the outcome of the hard skills. If you are a manager for long enough, you can do the hard skills. They are just a ticket to the game. Soft skills are the people & stakeholder skills, like building trust, fostering motivation, developing people, managing conflict and team building. 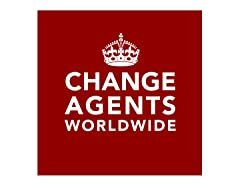 In most cases, it is a challenge to know whether you have done these skills well and the results of actions in any scenario can vary widely. These are the skills essential to realising the potential of people in any context but particularly in a world of networked knowledge work. This is the work of leadership and it must be learned the hard way. The terms hard and soft are backwards. In a culture of hierarchy, command and control and engineering mindsets, it suits management to think of the manager as engineer tackling the hard work of decisions, managing the machine and delivering results. Hard skills start to sound like they are most important in a culture where power really matters. Except it is easy to make a decision. It is far harder to have that decision stick and be embraced by other people. Try to coach another person and you soon realise that developing their potential and helping them is not easy. The soft stuff is what unravels the hard stuff. You need both people and power in management. The soft stuff is far harder than setting the levers on a machine. Leadership is work. Hard work. Importantly, it is the hard work that matters most to realise the potential of your people and to benefit from the future of work in a networked knowledge economy. 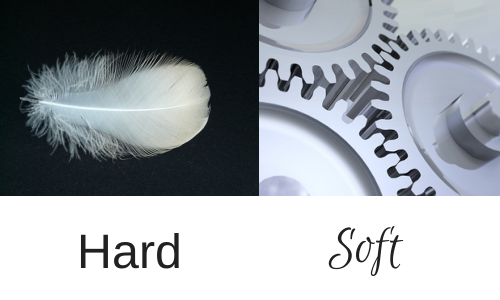 Swap your view of what is hard and what is soft. Better yet leave them both behind as terms that belong to the last age of management. By simongterry in Uncategorized on 13/03/2014 .